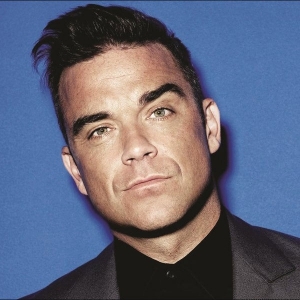 Robert Peter "Robbie" Williams (born 13 February 1974) is an English singer, songwriter, and actor. He was a member of the pop group Take That from 1990 to 1995 and again from 2009 to 2012. He has also had commercial success as a solo artist. Williams rose to fame in the band's first run in the early-to-mid-1990s. After many disagreements with the management and group members, Williams left the group in 1995 to launch a hugely successful solo career, which saw his first seven albums each reach number one in the UK. Williams also released seven number-one singles and found similar success across Europe. On 15 July 2010, it was announced he had rejoined Take That. The group's subsequent album became the second fastest-selling album in UK chart history and the fastest-selling record of the century so far. Gary Barlow has since confirmed that Robbie Williams had left the band for a second time, although the departure was amicable and that Williams was welcome to rejoin the band in the future. Williams has sold more than 75 million records worldwide, making him one of the best-selling artists of all time. He is the best-selling British solo artist in the United Kingdom and the best selling non-Latino artist in Latin America. Six of his albums are among the top 100 biggest-selling albums in the United Kingdom, and in 2006 he entered the Guinness Book of World Records for selling 1.6 million tickets of his Close Encounters Tour in a single day. He has received a record seventeen Brit Awards—winning Best British Male four times and the Brit Award for Outstanding Contribution to Music, eight German ECHO Awards, three MTV European Music Awards and two Grammy Award nominations. In 2004, he was inducted into the UK Music Hall of Fame after being voted the "Greatest Artist of the 1990s". Williams is married to actress Ayda Field. He has a net worth of £130 million (2014). Williams has currently (based on BPI certifications) sold a minimum of 18.9 million albums and 5.4 million singles in the UK alone as a solo artist. Williams also topped the 2000–2010 UK airplay chart, racking up almost 50% more plays than the Sugababes at number 2. In 2014 he was awarded the freedom of Stoke-on-Trent, as well as having a tourist trail created and streets named in his honour.